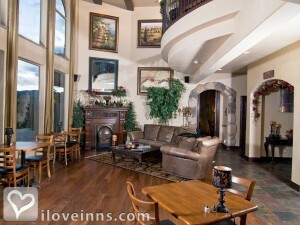 Be pampered amid the timeless elegance in a mountain setting. 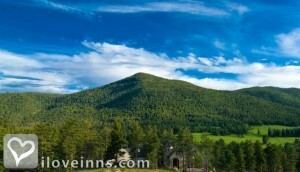 Arrowhead Manor B&B Inn, near Denver in Morrison, Colorado provides Rocky Mountain views. Relax on a deck, balcony, or sitting area with a fireplace. Select a movie to watch in comfort and style. Schedule a rejuvenating spa treatment and soak in a Jacuzzi or hot tub. Luxury guest rooms and suites are inviting retreats with pampering and generous upscale amenities included. Linger over an all-you-can-eat breakfast menu with continental breakfast options as well. Ask about romance and spa packages available. Payment Types Accepted Include Discover, American Express, Travelers Checks, Visa and Master Card. This property has 5 total guest accommodations with private bath, 4 with fireplaces, 2 with hot tubs, 3 suites and 1 conference room. The types of beds available include Queen and King. Thank you for the perfect laid back wedding. The house, accommodations, and food were all wonderful. We should get married here all the time! Spoiled for three days. Great place and warmth! Thanks! The room was beautiful and luxurious. The bathroom was awesome! The wedding and overall experience was very nice. We liked what was said during our wedding ceremony. Very friendly staff and clean rooms. It was the best! They made us feel right at home. We love the laid back atmosphere. We will be back! Your caretakers were absolutely wonderful. They made our stay so memorable and we look forward to coming back. Thank you so much guys! A lovely retreat. Thanks so much for these moments of peace and solitude. Great place. We will definitely be back. Thank you for your hospitality. We enjoyed our stay greatly. We reunited after 45 years and decided to stay at Arrowhead. As in anniversary celebration, we wanted to stay at Arrowhead. Thanks for everything! We'll see you next year. We stayed to celebrate out 22nd anniversary. We enjoyed every minute of our stay and will be back soon! Found this little gem through research for a wedding event. Great experience, nice and cozy. Thank you and we'll be back for the wedding! 5 stars all around! We felt like we were staying with good friends in their house. Lovely. From arrival the Manor was beautiful and our room fantastic! Breakfast was top notch. All the places and directions were right on and we enjoyed the surrounding area. We will be back. Exceptional service all around. Friendly and professional staff. Made wife and i feel like royalty. We will definitely be coming back. Stay cool Enrique. Thanks for everything man! What a wonderful place you have! We had a very nice and relaxing stay in the Evergreen room. Excellent views from this room. Thanks so much! Thank you James and Johnny for your wonderful customer service and overall friendly nature. We will remember your B&B when we schedule our next trip to beautiful Colorado. We had a delightful time! We loved staying here. You all do a great job! We loved the new bathroom too! Beautifully appointed. 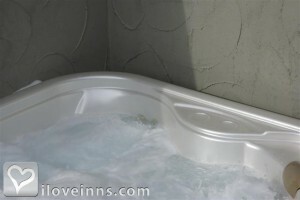 The bed was heavenly, the setting ideal, the jetted tub addictive. The staff couldn't have been more friendly. Thank you for such a fabulous anniversary stay. What a beautiful house and wonderful customer service. We will be back! The experience at Arrowhead Manor was magnificent! From our beautiful room (Kings room), to caretaker, housekeeper, innkeeper were all so wonderful. Arrowhead made me feel at home. I absolutely loved this place! I will definitely come back soon. wonderful room and very gracious staff. Were able to accommodate us last minute. Exhausted after a long wet day on motorcycles. The perfect way to rest and relax. We had a great stay. Room was excellent. Especially enjoyed the hot tub. Also breakfast and service was excellent. This was our first time here after a friend told us about the place and we loved it. The service was great and very helpful. The room was very nice and romantic. Great place. Wish we had more time to stay. Thanks for everything! We decided to come here for our one year wedding anniversary. We are extremely happy we did. We can't think of another place to have gone. Also the guy who helped us was very accommodating. We'll be back! Thank you for the experience. We really enjoyed the calm relaxing environment. It truly felt like home away from home (without the noise or children running around). It has been a great weekend, we are sure to do again soon. Thank you. Loved our stay! Wonderful escape. Breakfast and chocolate covered strawberries were delicious. We'll be back! Wonderful stay! We come to Colorado every year and make Arrowhead our traditional stop on the way to Breckenridge. The elegance and beauty of this B&B is the perfect way to start. Surroundings, service and attention to every little detail as well as the warmth and generosity of everyone is outstanding! They were very accommodating going above and beyond. We would recommend this to anyone looking for a relaxing couples getaway. We had such a wonderful relaxing time. Loved the architecture, artwork and decor. 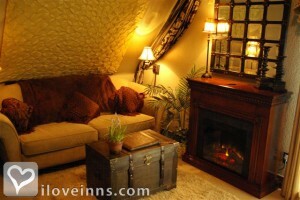 This place provides an atmosphere of romance and privacy that is rare these days. We loved our stay and will definitely be back. Will refer to our friends. fabulous hotel to celebrate a wedding. All the way from Bonnie Scotland. Views, rooms, food and location were all excellent. A very good find by the bride and groom. Thank you so much for making our wedding day so special. We appreciate everything you did to put this together short notice. Our stay was extremely comfortable. The room was extremely wonderful. We look forward to our next stay. It was an amazing experience for both myself and my girlfriend. Thanks to all the kind and friendly staff. We will surely be back. We came from a 4 star hotel that we hated to this beautiful B&B. Great customer care and ambiance above anything we expected. Customers for life! Amazing room and very friendly service. Was a wonderful night. Loved the bed! It was beautiful and comfortable. Breakfast was delicious. The staff thoughtful and courteous. Can't wait to come back in the summer. Thank you so much for the wonderful stay in celebration of our 10th anniversary. The room was beautiful and cozy and the breakfast heavenly. James was the perfect host and we hope to meet Marguerite next time. Very lovely. Loved all the wood trim. The waterbed was awesome! Breakfast was better than any restaurant. James was awesome. Thanks for the dinner tips. Everything about the Manor is beautiful. Our room was just gorgeous. James & Marguerite were very helpful and breakfast was delicious! We will definitely be back again and recommend to friends and family. Everything was beautiful. We don't get away very often and our lives are very stressful. So having a nice quiet peaceful stay is much appreciated. The breakfast was superb. Thank you. We enjoyed our stay very much. The towel swans were a sweet touch. This has to be the best B&B we have been to. Innkeepers and staff were very helpful. The food was amazing. We love staying here. Beautiful well kept place, you won't be disappointed. Everyone is so nice and friendly and they make your stay perfect. We can't say enough good things and refer our friends here. The mountain setting was beautiful. The room decor was fabulous. The staff was very hospitable. Thanks so much! A really really great time. Relaxed and ready to launch more rockets! We enjoyed ourselves. We almost hate to be moving away. If we are ever in Colorado again, we will stay here! The total experience was exactly what we needed. Everything from the flowers, hot tub and in room massage. We enjoyed the privacy and quiet. Thanks again and see you soon! Exquisite and lovely accommodations. We will be back for many more celebrations. Loved the Direct TV. Room temperature worked well. Could get cold to warm. Bev was great to get to Red Rocks. Great warm bread pudding. We'll be back. We thank each one of you for making this trip wonderful. We felt so comfortable, like visiting long time friends. Everything was great. Thank you all! See you next trip! Thanks so much for a lovely experience. Your home is beautiful and you are very gracious hosts. We loved it so much we are going to get married here. This was our honeymoon 7 years in the making. We had the best time we could have asked for. Thank you guys for everything. Thank you Arrowhead. Best Colorado stay ever! The accommodations fantastic. The hot tub on the deck was perfect after our 12 hour drive from Oklahoma. The couples massage......best ever! We will be back. We had the most relaxing time of our lives. Our room was so comforting we did not want to leave. Breakfast was 6 stars along with everything else. Best of everything including owners/staff. Thank you. Thank you so much for your hospitality and generosity. We had an amazing time. Beautiful home, great people. Although our stay was short, we had an amazing time. The bed was incredibly comfortable and Enrique was very sweet. We had an amazing stay! Loved it. Such a fun stay. For anyone who stays, i would recommend The Bistro for dinner in Marshdale. It was an incredible meal. Caretaker was great. Great hire. We enjoyed everything. The room was beautiful and it was nice to relax. The breakfast was great also. We will be back. It was amazing. This place is beautiful! Thank you for your generous hospitality and wonderful breakfast. We will be back! We had a wonderful luxurious romantic anniversary! Thank you for the excellent care in making our stay so special. We loved the suite, the hot tub and the deck. Everything was so awesome. The best way to celebrate our 10th anniversary. Could not have been better or more romantic. Looking forward to our next stay with you. Thank you for everything. The bed was very comfortable and the food delicious. We enjoyed talking with William. He was knowledgeable and a gracious host. Thanks again! The house is beautiful. The staff is great. Thank you for making our 26th anniversary so special. Breakfast rocked! A lovely facility and wonderful experience. So happy to relax and enjoy the property. Sad to leave! Very comfortable and welcoming. Absolutely amazing stay from the tour to the room and the views. Wonderful breakfast. Top notch. Breakfast was lovely, fresh fruit was great. Very beautiful home. Thank you for sharing it with us. Warm and friendly customer service. Marguerite and James were wonderful. Caretaker was great. Thank you for making our wedding day so special. What an amazing place! Thank you. Thank you for everything. We had a wonderful time! Everything here was so very beautiful. I felt positiveness throughout. So thanks once again. We will be back very soon. Johnny and Becky, you guys rock! Thanks so much for opening your home for others to share. We had a very restful, much needed sleep. The beds are so comfortable! This is our second stay and we will be back. Thanks again! Thank you for making our engagement so special. We will never forget this weekend! Thanks Johnny and Becky for everything you did for us. We will be back soon! We had wonderful accommodations. Private and so comfortable. The decor and cozy atmosphere are most impressive. Incredible B&B. No expense was spared and it shows. Danette and I were commenting on how this is the most stunning and beautiful designed B&B we've seen. Thank you! Will was an excellent host/cook/everything. He provided great customer service anytime we asked for anything. Your home is amazing! Thanks so much for everything. Wonderful and cozy accommodations. We felt like we didn't even leave home. Breakfast was wonderful and everyone was so helpful. Thank you for making our New Years memorable. Loved the great views, especially from the balcony hot tub. The breakfast was wonderful. Beautiful rooms, views, place. Overall amazing place! James is so friendly and helpful. Thank you for an amazing stay. We will be back and send our friends your way. This was one of the best places we have ever stayed. The house and rooms are classy, elegant and relaxing. James & Marguerite were incredible hosts. The food was delicious. We will definitely return to Arrowhead. Thank you. 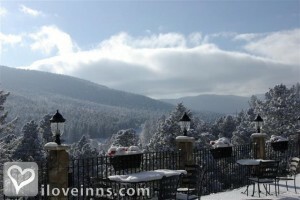 We enjoyed a luxurious B&B with close proximity to Denver with a feeling of being in the mountains. We will be back! What a beautiful setting. You guys should be very proud of what you created here. Excellent service. Luxury gourmet food in beautiful mountain environment. We will be back. Service: amazing Place: unforgettable Views: beautiful Rooms: super clean My experience was of a true princess in a castle. I loved it! If there were more stars, i would have rated this B&B higher. Thanks so much for this experience! I couldn't be more grateful. God bless you. I will definitely be back. My friends and family have got to see what what an amazing gorgeous place this really is. Looking forward to more stays. Kings room was fantastic! Thank you so much for allowing us to share in your beautiful place. You were a lifesaver! Due to the fires and evacuations in Manitou Springs we had to rapidly change our plans mid trip. It was divine karma that you had a room available our last two nights. Everything about the French room was perfect as was your spectacular hospitality. Thank you! We loved the hot tub on the private balcony. The room was luxurious and we loved the bedding and the massage controls. The staff was super friendly and helpful. It's nice to stay in an upscale B&B without paying an arm and a leg. We also enjoyed the music around the house. Thank you for a relaxing getaway. We stayed at Arrowhead Manor for my husbands birthday. Everything was just perfect. Such a beautiful place. The room was so comfortable and great customer service and breakfast. We will definitely return and refer others to this gem you call Arrowhead Manor. It's a beautiful peaceful and completely relaxing place. Thank you very much. Thank you for everything. You made our wedding day perfect. This is a place we will always remember. Thank you for a perfect stay. We loved our stay here. Our first night as husband and wife. The service and atmosphere here is truly special. Thank you. We will be back. Thank you for everything! We were very pleased with everything. We are excited to find out more about having our wedding here in September. Everything was amazing. Johnny is a wonderful cook and host. We thoroughly enjoyed our stay with you. The scavenger hunt was very cute and fun. Thank you so much. We had a great wedding stay. We'll be back! We had an amazing experience and the rooms are beautiful. The staff are wonderful and we could not have asked for better service. The staff here is very caring. The views are beautiful. We had an awesome experience together. Enjoyed the stay very much. 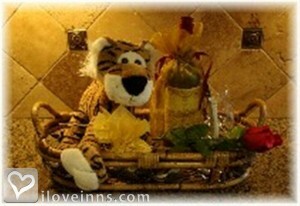 This was a wonderful Bed and Breakfast that provided very individualized service. It is small and has gorgeous views of the mountains from the deck. The chef on site will help customize your meals and makes amazing food and pizza! Highly recommend this as a stop for anyone looking for a romantic, relaxing and private getaway! we celebrated our 31st wedding anniversary at Arrowhead Manor. WE had a wonderful time . we were treated like royalty. Our room was just luxurious that is how i discribed it. The bed was like sleeping on clouds. I wanted to bribg the bed home with us. Our host took the time to tell us all about the topper on the bed and where we could fling it. Breakfast was delicious. Regret to say we did not have dinner there.We wish now that we had but we had made reservations elsewhere. Looking forward to a return stay at arrowhead. Thanks for all. I took my wife here for her birthday. When we pulled up we were in shock with the sheer size and beauty. The inside was even more beautiful! Our room was huge! It had a two headed walk in travertine shower. Over sized Jacuzzi tub. A closet that was the size of most hotel rooms!! Our bed was like sleeping on clouds! So comfy! We had hundreds of movies and channels to choose from. This place is very affordable and you feel as though you are staying in a 5 star hotel in Greece!!! 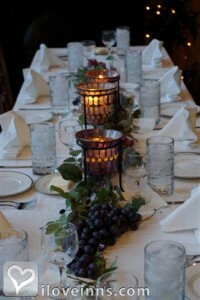 We had a romantic candlelit five course meal that was better than most restaurants we�ve been too! We were setup by the fireplace looking out the HUGE windows at the view that never stopped!! Breakfast was so good!! We both agreed that staying here is what royalty must feel like every day!! We will be back Arrowhead!! I was so impressed with this place!! The customer service should be an example to every other bed and breakfast and Inn in the world!! James and Marguerite were so nice. The caretakers were so friendly and attentive! The made us feel like we were royalty. The music played throughout the house we so romantic! Our room!! There are NO WORDS to describe the cleanliness and romance our room gave off! The views were breathtaking!! We never right reviews but this place deserves credit for how hard they work to make the experience UNFORGETABLE!!! My husband took me to this place for my birthday. When arriving at The Arrowhead Manor I felt as though I was in Italy! This place is amazing!! So romantic! The staff is so friendly. We felt like we were alone in the house, but when breakfast(which was AMAZING) came we realized there was a full house. They have done an amazing job of making you feel like the entire place is yours!! This was the best bday ever!! 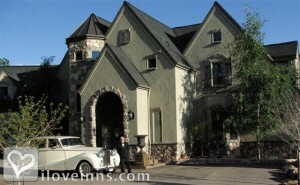 Pulling into the Arrowhead Manor, you will be overwhelmed by its sheer beauty and architectural enchantment. You will know, before you have even stopped the car, that you made an excellent decision with this Bed and Breakfast. Upon entering the main corridor, you will be tempted to spend an hour or so, just looking around and �investigating� the whole Manor. This is encouraged by the employees, and very well should be. Unique d�cor, beautiful views and fun conversations with your loved one are to come, as you go on an adventure around the Manor. Once in your room, gorgeous views of the Rocky Mountains await your eyes from your room, as does the luxury of a hot tub, if you decide on a room with that added item. Free movies and popcorn are also available for you and your loved one. The rooms have an incredible feel of solitude, elegance, comfort and relaxation for you and your loved one. In the morning, a scrumptious breakfast menu awaits you, from a fun and entertaining, yet "serious about what is cooked" chef. There is no rush. There is no �time table.� It is just you and your loved one getting to enjoy each other in the beautiful and magnificent Arrowhead Manor. A Romantic Time Well Spent !! Last week my girlfriend and I stayed at Arrowhead Manor. I am writing because I feel compelled to tell someone about the unusually fine experience we had during our stay. Rarely do I praise or even mention a satisfying experience. Yet, James, Marguerite and their staff really outdid themselves. Of special mention was the romantic feeling we both felt as soon as we walked through the door. We are seriously considering a second visit for this coming Valentine's Day. It was a chilly March afternoon in 2009 when my boyfriend, Shawn suggested we get away for the weekend. Weary from long hours at work and the gray winter skies overhead, I enthusiastically agreed. �Where shall we go?� I asked. �Don�t worry,� he assured, �I�ve got it all figured out. Just make sure you pack a swimsuit...� Huh? I thought to myself. Not skis? This is refreshing. In recent years, the idea of a mountain weekend had really weakened for both of us. Long lines through Eisenhower Tunnel coupled with the rising cost of rooms in ski country often left us wishing we had made other plans. On this day, Shawn didn�t give me a clue as to where we were going. It was all to be a surprise. We packed our bags early Saturday morning and Shawn made me wear a black blindfold for the drive. To my delight, the trip last minutes - not hours. When we stopped, Shawn untied the handkerchief and revealed Arrowhead Manor B&B, a beautiful Tudor style mansion located on the outskirts of Morrison and surrounded by mountains. From the moment I got out of the car I felt like I was visiting a world far, far away. Where do I start? I was immediately impressed with the spectacular architecture � inside and out. From the arched doorways to the wrought iron balconies, I felt as if I were entering the residence of royalty. Inside, the attention to detail was impressive. Hand-toweled walls, stunning fabrics and beautiful furniture made this place a home - as warm as it was luxurious. To top it off, spectacular mountain views graced a long row of windows along the living room. Our host graciously showed us our room. Located on a private wing, our suite featured a gas fireplace, surround sound system for the stereo and flat screen TV, king sized four-poster bed with beautiful linens, and a private balcony complete with our own hot tub and mountain views! Our room also had a personal-sized refrigerator, sofa and coffee table. Our host provided us with a list of (and directions to) a variety of nearby eateries, but Shawn had planned for a romantic stay-in weekend, and so he had packed a picnic basket filled with wine, cheeses, breads and a variety of gourmet treats from our local grocery. We still talk about how much fun we had enjoying the fireplace, relaxing in the hot tub and just savoring the peace and quiet of the mountains in the evening. We will never forget how comfortable the bed was there, either. It was like sleeping on a custom-made cloud! When Sunday afternoon came, I decided to enjoy one last dip in the hot tub before leaving our little slice of heaven. When I came inside to dry off, Shawn handed me a towel and then bent down on one knee. And proposed! My eyes immediately filled with tears as he gave me the most beautiful ring I had ever seen. Of course I said yes and we shared the news with our hosts before driving back home. They told us they were in process of building an event center for weddings! We will have to return, I thought. I could not think a more romantic place for a proposal or a wedding celebration! My wife and I finally had the opportunity to spend a night at the Arrowhead Manor after years of driving by and seeing the beautiful estate. We were not disappointed. From the check-in, we were greated by our wonderful hosts and made to feel at home immediately. The room was fantastic, spending time in our private hot tub outside while it was snowing was amazing. We loved every minute. The breakfast the next day was fantastic...the only complaint was that I couldn't finish it all. We thank you so much for a wonderful time and hope to stay again soon. My boyfriend and I booked a stay for a summer getaway at Arrowhead Manor. It was WONDERFUL! We stayed in Shorty's room. The chef was SO accommodating - we decided to stay in for dinner. We had the most amazing pizza in bed with a complimentary salad. We had brought a coconut with us, and he turned it into an amazing pancake breakfast. The service was impeccable. My boyfriend surprised me with the romance package, which was a great deal. We had an amazing time. It was very relaxing - we were very sad to leave. Our room was awesome. From the fireplace to the views it made for the perfect getaway after being apart from my fiancee for several months. We had an wonderful sushi dinner after listening to the owners' recommendations about dining in town. The view from our balcony was very private and beautiful. The owners were very friendly but also gave us space. All in all the trip was a success and we can't wait to go back to the Arrowhead! We spent our honeymoon at the Arrowhead Manor. What a place! It is so beautiful and decorated so nicely! Our second night there they made us romantic candlelit 5 course dinner. Our table was set up next to the window and fireplace. They had a hand written note congratulating us on our marriage and a couple of glasses of champagne waiting on the table. The windows look over a huge mountain with these amazing views. The food was excellent and the dinner was so relaxing and romantic. The innkeepers were great at helping us plan romantic things to do while there. One day we went to this mountain lake nearby. They rent ice skates, so we tried to learn. It was really fun and felt like something right out of a movie. Another day they sent us on a drive next to a mountain river. At the end of the drive you end up at this really cute little restaurant in a small mountain town. We have already told many friends about the Arrowhead Manor and can't wait to come back ourselves. Thanks Arrowhead for making our first few days as Husband and Wife so special! My boyfriend and I stayed here for our anniversary, and it was wonderful. 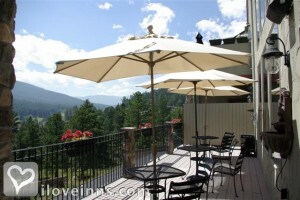 The room was so elegant, and our private patio was gorgeous to look at the night sky and enjoy the next morning. The staff was so helpful and nice,and the complimentary breakfast (made in house) was phenomenal. Although the inn is in its own little secluded area, the surrounding towns are full of great restaurants for dinner. It is a beautiful place with amazing people, we are definitely going back. This was the most romantic, comfortable, gorgeous bed and breakfast we have been to. Each year we take a trip to a different b&b but arrowhead manor exceeded all of them. The room was gorgeous and so relaxing. I can't even describe the Jacuzzi tub! We will definitely return this year and recommend to everyone. We had an amazing time at Arrowhead Manor! It is so romantic! The d�cor is so elegant! The staff can�t be beat! James and Marguerite are so kind and attentive! We recommend the Manor to all of our friends and family! Thank you for making our stay so amazing!!! Arrowhead Manor was one of the nicest bed and breakfasts we have ever stayed in! It was so romantic. The Innkeepers were very friendly and breakfast was tasty!! The location is beautiful!! The views like no other! You feel like your in the middle of no where but so close the everything! I will continue to stay here when I visit Morrison. This out-of-the-way inn has a wonderful atmosphere! My boyfriend and I went for our anniversary, and we had a wonderful stay. It is right off the highway, but they soundproofed the house so even though our room faced the highway we couldn't hear a thing. The rooms are beautifully decorated, the view from the deck in the morning was gorgeous, and the breakfast was delicious. We would definitely go again! My husband and I stayed at the Arrowhead Manor and found it relaxing and romantic. The convienent location was nice yet we felt as though we had really had a getaway! This is a great place to get away from your busy schedule and have a romantic weekend! 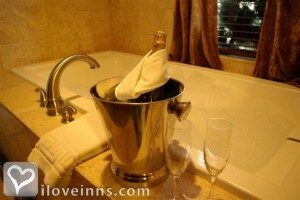 Not only are the rooms unique and beautifully decorated, they have great quality amenities. The ambiance is luxurious and comfortable. One of the main differences that we noticed from other B&B's is that they have soundproofed the walls so you feel like you are the only ones staying there if you like the privacy. It truly is a great place to escape for a romantic weekend! One of the Most romantic in CO! My wife and spent a romantic Valentine's Day at Arrowhead Manor, along with a great dinner at The Fort. The whole experience was memorable and my wife commented just the other day how relaxing and peaceful it was. The view is spectacular and the room was spacious and well-suited for a romantic evening. We enjoyed the jetted tub, the music and the relaxing evening. The only drawback...it ended too soon! Beautiful room with great amenities. Loved this room with a great view and hot tub. Staff was fantastic and the food was some of the best I've had in a long time. Thank you for the wonderful experience. The customer service was excellent! Very good food :) You made our wedding day amazing. We cannot thank you enough. We thank each one of you for helping to make our trip so wonderful! We felt so comfortable, as if we were visiting long-time friends! Everything was great, Thank you all! See you again next trip! Thank you for making our weekend stay in October 2010 so wonderful - that's what brought us back this time! Amazing job helping pull off a great wedding proposal - "She said yes!" We will definitely be back! We really liked the view, the fresh air, and your great hospitality. It's clear you intend to serve your guests well because you attend to details and make us feel welcomed & cared for. You do a good job! Beautiful and relaxing. Amazing setting so close to Denver. The hospitality was great and breakfast was terrific. Will certainly recommend to others. The little touches made our visit outstanding - a warm and welcoming atmosphere & a full menu of breakfast choices! Also, the extra comfy bed was a treat. Loved the delicious breakfasts, the awesome views, luxurious and cozy furnishings, jacuzzi tub, in-room movie options & popcorn and coffee & mini fridge in room. We loved our stay here! Beautiful & elegant! Johnny & Becky were wonderful to us & made us feel like family! Will definitely refer you to others & be back ourselves. We appreciated everything you did for us during our stay! It certainly contributed to one of the best times in our lives. Thank you for everything! 100% satisfied! I'm so glad our family stayed here for Tom's 50th birthday. Thank you so much! Thank you for the wonderful experience. It definitely exceeded my expectations. Will refer you to any friends/family visiting the area. My wife and I were thrilled to spend our 7 year wedding anniversary at the Manor. Every detail speaks luxury. Thank you for the warm hospitality and for helping us build a very special memory. We will definitely be back! Thank you for a gorgeous stay. You have a lovely B&B. Your personal touches just made it perfect! We were looking for something special for our 11th anniversary. We definitely found it here. the room and decor is amazing. Johnny & Becky made us feel at home. The breakfast omelette was the best I've ever had. We plan on returning again & again. Thank you for everything! Your B&B is our favorite one in the US. We love coming here as we have many great memories from each visit. This place is amazing!!! We had a wonderful time and felt nothing but comfortable & relaxed. Enjoyed wonderful food and presentation of it. We especially enjoyed staff's extra efforts and special things for Linda's birthday to make it memorable, also received everything asked for. Good location, great scenery. Excellent French toast the day I had full breakfast. I'm not a pastry person and can't eat canteloupe, so I appreciated the switch to a bagel and other fruit when I had continental plus. Very friendly people and an enjoyable stay. You guys both made our stay very enjoyable! Although our plans had to be changed, you bent over backwards to accommodate us and we thank you so much for that! The room was lovely, the food was good, and your customer service skills are outstanding! We had an absolutely fabulous time during our stay at the Manor. The Lion Room was luxurious and extremely comfortable. The service was impeccable! The entire Manor was beautiful and very nicely furnished. It was amazing how quiet and secluded it feels while staying in the Lion Room. The amenities are superbly and masterfully decorated. We travel all over the world (mostly Europe) for business & for pleasure on the weekends. We rank this on top of all the places we have stayed for luxury and hospitality. Johnny & Becky do an exceptional job at making you feel "at home." Thank you for a great experience. Customer service was excellent. Breakfast was very nicely presented and was extremely pleasant to the pallet and our waitress was exceptional! Overall the manor deserves a ten star rating! They ruined my wedding night! They are rude and completely unwilling to deal with customer concerns! Horrible place to stay! Don't waste you time or money! If you are looking for something quiet then this is not the place. You can hear EVERYTHING!! Not worth the money. They certainly won't address your complaints either!! Nice place but not luxury at all! The property is nice and clean. However, the staffis totally unprofessional. We were greeted at check in by a man wearing pajamas and no shoes - at 5:00 pm. The other employee was also barely dressed. They lied to us about availability and refused to upgrade us without a hefty fee. Breakfast was pitiful...a few pieces of fruit and bread. Go to theBrown Palace or the Broadmoor if you want luxury, but skip this place! A TERRIBLE EXPERIENCE BUYER BEWARE! Please be advised that I had reserved a room at Arrowhead Manor for my husband and myself to follow the renewal of our vows. Unfortunately my husband who has been dealing with cancer was not well enough to complete our honeymoon plans and I was forced to cancel our reservation six days prior to our arrival. After cancelling in writing, the the management of Arrowhead refused to return our deposit of $945.00. The management has a policy requiring that potential clients of this property cancel 60 days in advance. Under almost any circumstance that warrants a cancellation due to a medical emergency, a 60 day cancellation policy is unconscionable AND UNREASONABLE. We certainly thought that a medical emergency would bypass such a policy-particularly with a physician's documentation. We fully intended to enjoy our vows ceremony and have a relaxing time at this property and it was never our intention to cancel unless absolutely necessary. I would strongly suggest that before a potential vacationer affiliates themselves with this entity, consider the ethics of the individuals who will be overseeing your time at this establishment. They are indeed heartless and cruel. I can't even begin to tell how awful this establishment is. From the moment we walked into this establishment and were �greeted� with rude service from their employee and given a very brief tour of their facility. Their employee took us to our room and went over a few things with us. I informed him that we would be having the �hot breakfast� (which, by the way, should come with that price that you pay for the bnb) which he made us feel that it was a huge inconvenience for him. He proceeded to tell us that he was getting wasted that night and �hopefully� he would wake up. In the same conversation he had told us he had eaten some edibles. We went to a concert that night and when we got home we were looking around in the kitchen and were greeted by this employee again with a beer in hand. Using foul language at us he told us to get out of his f�ing fridge. We told him he needed to calm down and that is when he proceeded to tell us that if we wanted to go settle this outside (or in his words, kick our a**) that we could do that. My husband calmly told him that we didn�t need to do that and that he need to calm down. He told us that he was an ex-Marine, and that he had been out of the service for a year and a half and all he wanted to do was kill someone. In the meantime the owners of the establishment called and this employee began using racial slurs towards us and telling the owners that he was going to �lob our heads off with a Kanata sword� (direct words) that he had in the garage. At this point we�ve locked ourselves in a room because we are afraid for our lives. He proceeds to take a chair and start beating and breaking it outside our doors. We�ve called the cops at this point who come to the establishment and arrest him. (check a police report) If I could give this establishment 0 ratings I would. They have awful customer service,awful judgment of character (this employee is still employed there) and quite frankly should be ashamed of the way they practice business. I would not recommend this place for anything!!! The Bed & Breakfast is the perfect place for a family visit. We planned our anniversary here having our children by our side. Invited a lot of guests and everyone just loved the arrangements. A gift shop is also there to help people who would like to gift something to you on a special occasion. The breakfast in the morning gives a fresh and energetic start to the day. The services are prompt and on point. The staff is very cooperative. They go to ends to serve their customers and are very humble about it. Expect a happy stay here. They also arranged for the orchestra that just set the moment for us. All the guests rejoiced.